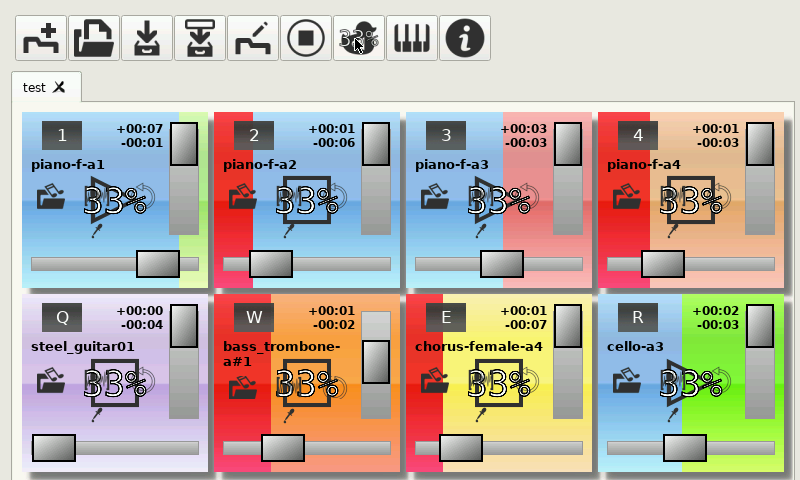 A soundboard for hot-keying and playing back sounds. (For podcasting). Tested with ALSA and JACK (QjackCtl PND). - Initial Release. 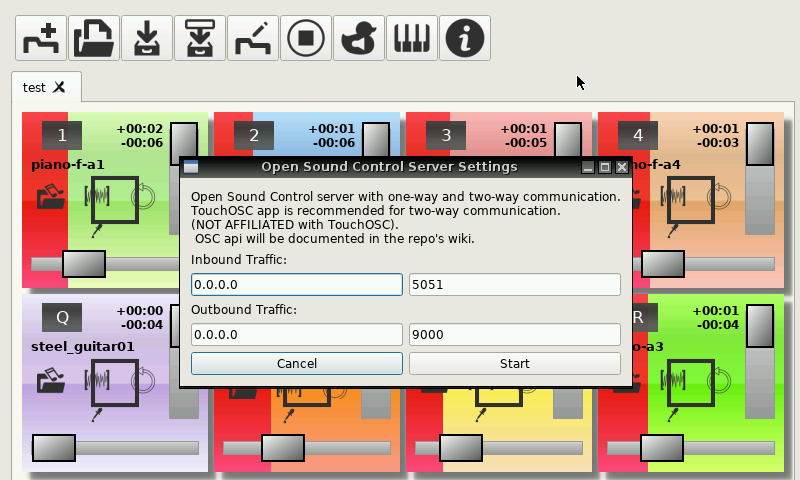 Compiled with QT 5.8.0 from latest Codeblocks PND beta release. 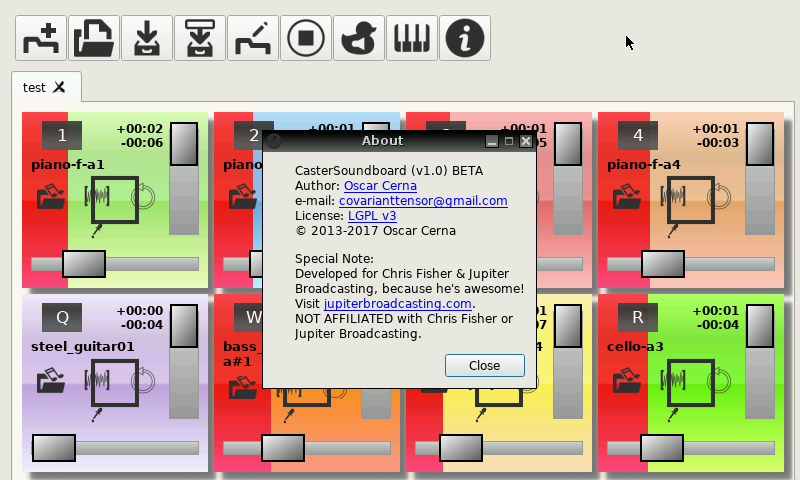 - Default configuration changed to fit OpenPandora screen resolution, and possible samplers reduced to 8. - Patched sources included on src folder inside the PND. Pandy is big enough to get to all functionality. 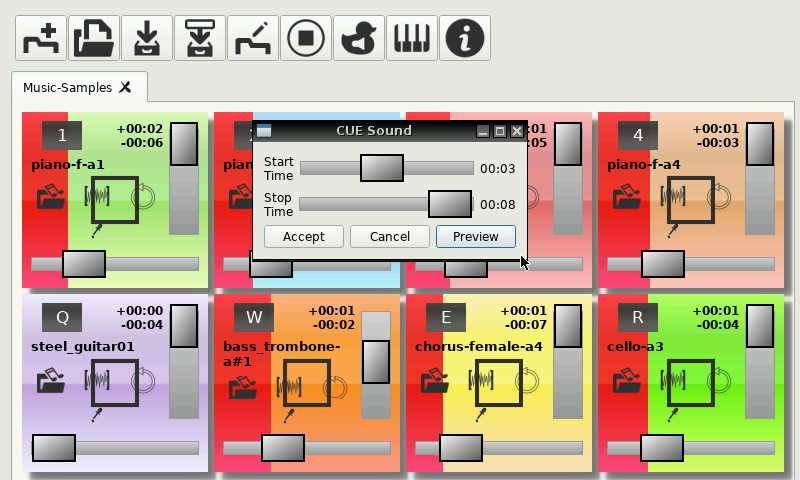 You can play multiple sounds at once. The "clipping" is limited to a minimum of 5 seconds, so you still need to cut your wav's, or allow a great amount of silence between them. Playing jingles from mp3 gives no delays... Save your settings manually!